We hope that by sticking on our roots, we can grow to live up to our identity as the largest pop up display store on the web with the largest variety and the most options. Our goal is to serve you in the highest professional degree. As our customers are our main focus, we encourage any and all feedback or suggestions. 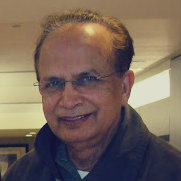 Ram Bhargava has owned and managed a commercial printing business for the past 45+ years. He has seen the printing business go through changing requirements and satisfied customer needs via employing newest technologies. PopUpDisplay.com is a venture with Sameeksha to help his existing customers order trade show products online. Sameeksha Bhargava has worked in start-up companies as well as a Fortune 25 company. 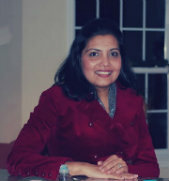 She has served multiple roles including: IT training specialist, Database expert, SAP resource for Fortune 25 company, Project Manager and helped migrate many commercial and manufacturing softwares to be web. Most recently, she left a successful IT career at DuPont to focus on ecommerce. Stop wasting money on performers and puppets! Spend a few bucks more and get a display which sets you apart. Now we offer hanging displays!